It was a brilliantly cold, brilliantly clear and sunny morning, and Chris Wightman wanted to experience it all. First Thanksgiving in New York, finally! 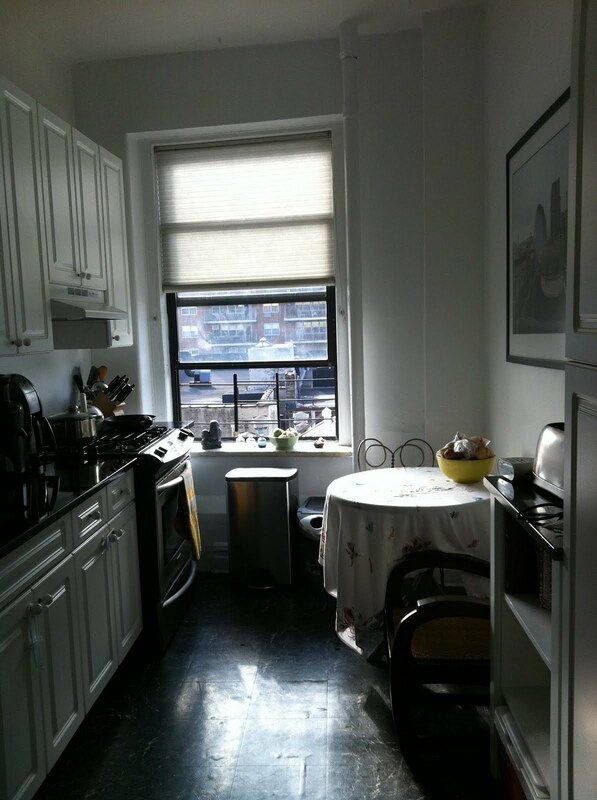 Chris opened the window in the kitchen to let in the glorious New York morning. The air carried a fragrant lilt: the rush of fresh, brisk New York air; a good bit of Thanksgiving cooking from all over the building; a hint of garbage from the sidewalks; coffee and burnt toast and donuts from the Chock Full ‘o Nuts around the corner…perfect. And all the roommates out of town for the holiday! Could it get any better? Well, of course, it would be better being with family. But this was the next best thing. A turkey sandwich from the delicatessen two blocks over and an empty apartment was as good as it gets for the first Thanksgiving in the big city. Besides, the family would call on the telephone. For now, it was all about enjoying this amazing holiday in New York. Chris sat at the open window, inhaling the chill, fragrant breeze like it was life itself and thinking about the steps that led here: summer; driving down from Vermont to walk around the neighborhood and scope out “For Rent” signs; having just enough in the bank to be able to sign the papers; being just young enough to be able to do it… You can’t move to New York when you’re middle-aged, Chris thought. You have to do it when you’re young and ballsy enough to believe you can handle anything. The faint strains of the Thanksgiving Day parade wafted in from 8th Ave. Chris had never had any desire to have anything to do with the parade, but now, in the empty apartment, with the most introspective holiday of the year and the rest of the day in glorious New York ahead, it was the most beautiful sound ever. The sound of a marching band became the first of a long list of reasons to be thankful in a small New York kitchen with nobody around. Excellent! Would love to know more about this story…. Wonderfully done, introspection love it. Always good to see you, V, thanks.